We carry a range of tile flooring options for your Lakeland, FL home. Tile flooring has been an elegant flooring option for years, offering a timeless look. You can also increase the value of your home by adding tile to the entryway, kitchen, and/or bathrooms. Tile flooring isn’t as popular in bedrooms, since it is a bit chilly when you step out of bed in the morning, but a warm bedside rug can help. A tile mosaic can help your home look more unique, since it often reflects your own personal style. Tile flooring can also be slippery, so use caution when putting it in a bathroom, and keep a rug near the shower or bathtub to prevent slip-and-fall accidents. 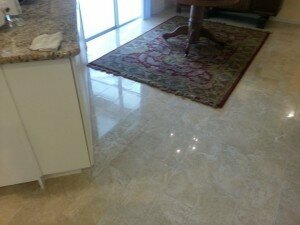 Keeping your tile flooring clean will help it to look new. When you shop for tiles, ask about glazed tiles, since these have a clear coating that resists chipping and stains, making them easier to clean. When we lay your tile, we will also install water-resistant grout between each tile. This helps prevent mold and mildew, and it is easy to wipe up a water spill in a kitchen or bathroom. If pets are part of your family, tile is a good choice, since your furry friend can’t damage the tile with his or her claws. At Jim’s Floor Depot, we carry a range of tile flooring options for your Lakeland, Florida home. 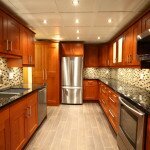 We can help you find something that will look great, yet will still fit into your renovation budget. Tile flooring is a fun way to express your style, and since we live in such a warm and pleasant climate, you won’t have to worry about tiles feeling too cold in your home during the winter.